With a population of over 1.3 billion people, and a country that boasts the world’s second largest economy, China is without question a world power. While economic growth has been booming, and increasingly more global companies are establishing a business presence in the country, Internet access to many of the world’s most popular websites like Facebook, Twitter, and YouTube are blocked from viewing by what is known as “The Great Firewall of China.” Since 1994 when the Internet came to China, the Chinese government has made it a priority to censor and control information that is dispersed to their citizens via the Internet. At a quick glance the Chinese government actually seems rationale, but in reality blocking certain websites has its drawbacks. Additionally, it has created a need for millions of Chinese citizens and expatriates to search for methods of bypassing the great firewall and unblocking content that would ordinarily not be available. The most effective of these ways has been through Virtual Private Networks (VPN). It is important to note that the Chinese government has put a number of filters in place for the great firewall. The IP address is the most commonly used filter. Every computer with internet connection has this address which provides certain information like your locality. 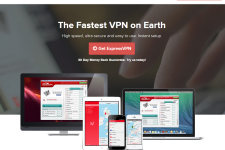 By using the VPNs you can be hosted in their servers such that it appears that your computer picks IP addresses from Europe, USA or Canada while you are in China. This therefore means that you will be able access the websites that have been banned in China. If you are hosted by any of these companies, you will be able to bypass or unblock the great firewall of China since you real Chinese IP address will be hidden. Please note, that since the Great Chinese Firewall is constantly monitoring and blocking service, it is always possible that you will experience temporary losses in service. The firms that we have mentioned above are some of the most reliable, and are known to get back up working relatively soon. The Virtual Private Network (VPN) service is the most safe, easy and reliable tool that you can use to hide your Chinese IP address. A secure tunnel is usually created between the VPN server and you. 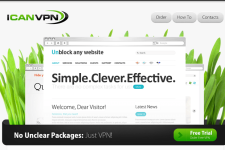 You can use the VPN on your iPad, Mac, iPhone, Computer and any other gadget that supports the VPN technology. If you choose any of the above mentioned VPN service providers, then you will be able to use their VPN services on your computer if you are using Windows 7 and 8, on your Mac and iPhones. 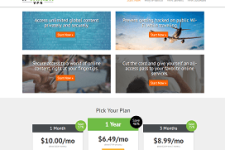 ICanVPN Review – Is The Service Worth A Look?